Spring at Sea 2018 students and faculty aboard the R/V Roger Revelle. 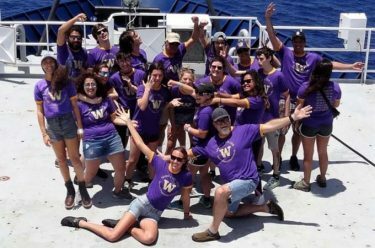 A group of UW undergrads are heading beyond the classroom for a unique adventure at sea. Setting sail March 25 from San Diego aboard the R/V Roger Revelle, students on the 2018 Spring at Sea trip are doing oceanographic research, studying celestial navigation, reading ancient seafaring literature, and gaining hands-on experience aboard a research vessel. 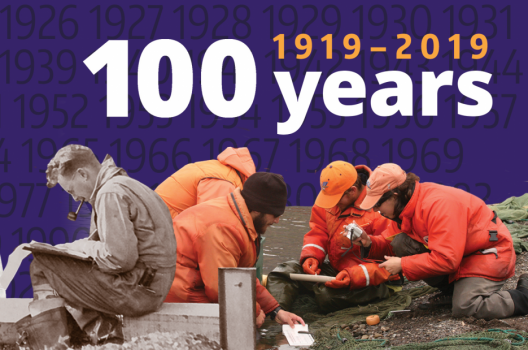 This unique, immersive trip is co-sponsored by UW’s School of Oceanography, Department of Classics, and Program on the Environment. The three-week voyage is being led by oceanography Professor Rick Keil, classics Professor Sarah Culpepper Stroup, oceanography Professor Emeritus Allan Devol and a team of researchers and will take students to the Eastern Tropical North Pacific south of Baha, California. 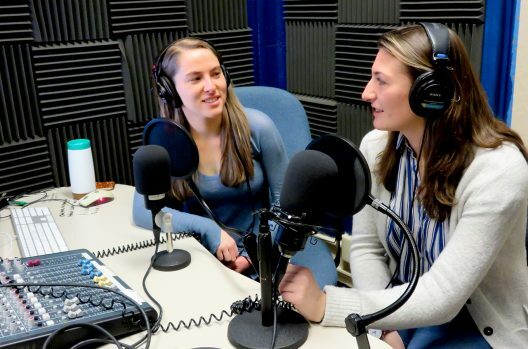 You can follow their journey online on the Spring@Sea 2018 Blog.